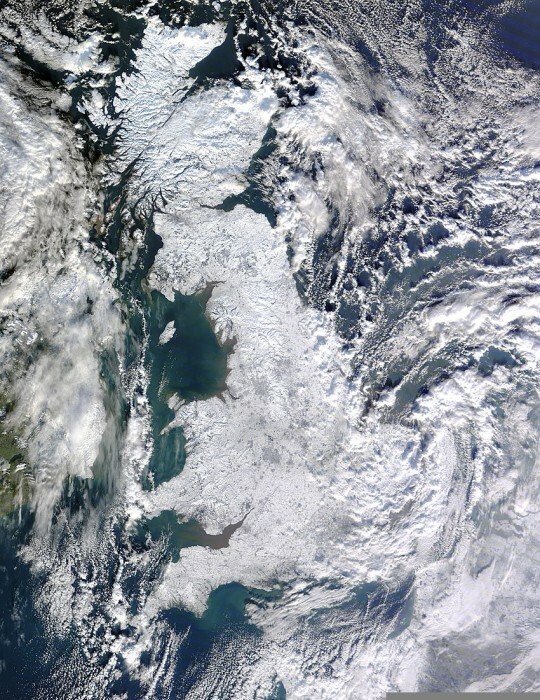 hey guys, was it snowy in the UK? Just a little. You’d hardly notice…except from SPACE!